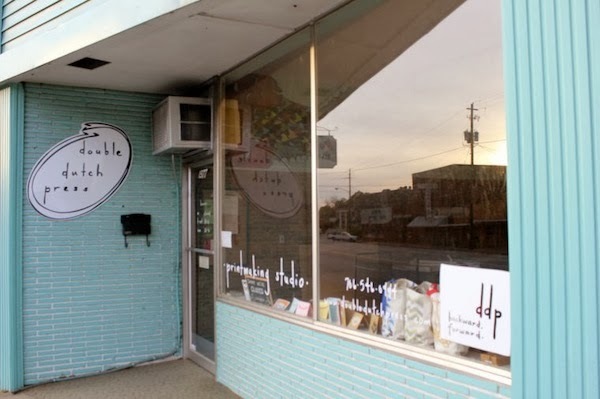 Today's gift guide comes from Double Dutch Press, a print making studio and shop in Athens, GA, providing workshops and equipment rental to our community. 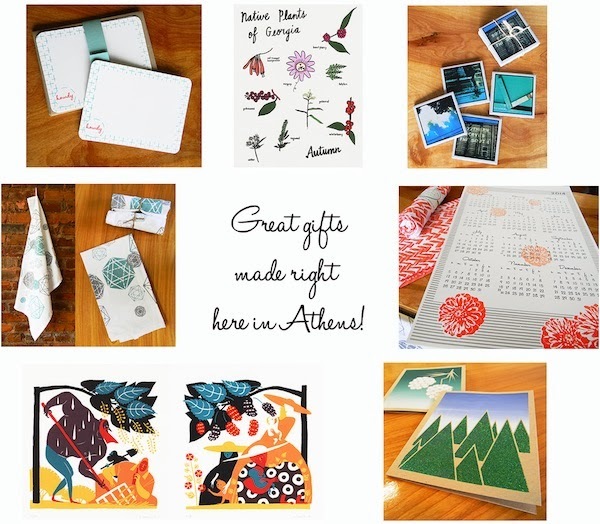 Their physical and online shop stocks so many great gift items from totes to blank journals. After talking about it for a year, sometime in 2014 I WILL make it to one of their screen printing workshops. They've included a discount for local readers: mention this post, and receive 10% off in-store purchases this holiday season! Keep up with Double Dutch Press! 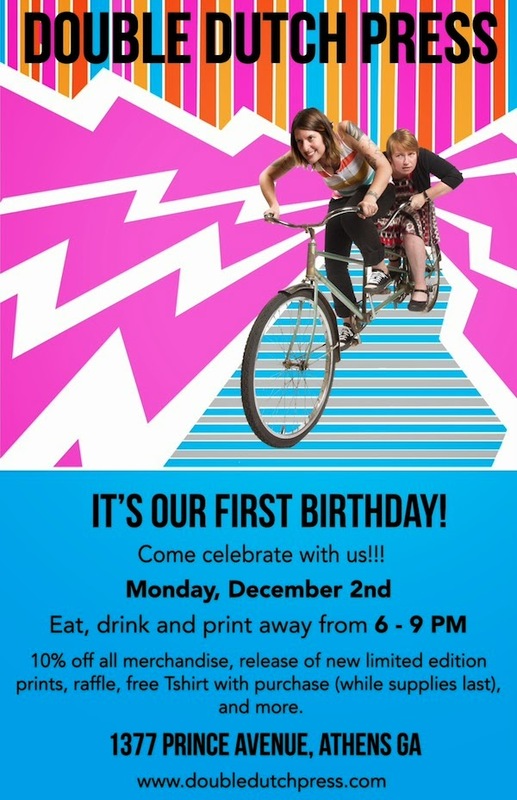 Double Dutch Press is celebrating their first birthday tonight with a celebration at the shop. Here's to many more years of fine printed goods!